Wow ! Lot has been happening around Indian Telecom Industry and last week was no different. Many of our readers have complained that we are covering mostly Telecom and Technology – But we cant stay away from it – It just keeps buzzing all the time ! Here is a Telecom Round-up for past week. 1 3G Auction Delayed yet again ! Most likely to happen in 2011 ! 3G Auction Delayed yet again ! Most likely to happen in 2011 ! Just fed up of this 3G auction delays ! It just ridiculous the number of times the auction gets delayed. Its a very shameful thing for our Telecom Ministry. 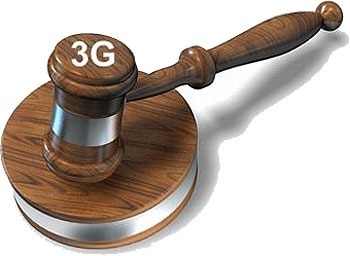 According to the latest report, the 3G auction may happen only by 2011. The real story behind this delay as confirmed by DOT sources is breakdown of inter-ministerial discussions on 3G spectrum availability coupled with the telecom industry’s disinterest. Whether 3G happens or not, the frantic pace at which the Telecom subscribers are growing does not seem to be stopping any time soon. December 2009 proved to be yet another bumper month with more than more than 19 million new subscribers addition in a months alone. The number of telephone subscribers in India increased to 562.21 Million at the end of December-09 from 543.20 Million in November-09, thereby registering a growth rate of 3.50%. With this, the overall Tele-density in India reaches 47.89. The growth in subscribers was quite even in December as compared to previous months, even though Tata is still leading snapping close to 17.46%. Reliance Bharti and Vodafone were all between 14% to 15% range. Uninor, the new entrant has started making some headway in this Indian telecom market with 6.32% share of subscribers.